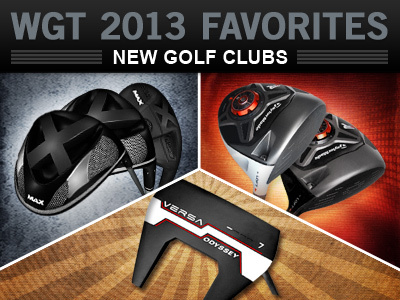 Join WGT players in voting for your favorite WGT features from 2013. Each week, we're posting a new category...favorite new courses, clubs, golf balls and more. Happy New Year from WGT! Let us know what you think and vote on your favorite WGT golf courses, virtual golf clubs, virtual golf balls, online tournaments and game features from 2013. Every week we'll launch a new category and collect your votes. Then we'll announce the winners and do more of what you liked best in 2014. You still have time to post your score in the Nation Holiday Tournament, going on now. Remember, this special tournament is for WGT Nation members only – plus you get a free Snow Ball virtual vapor ball when you enter. Did you get a new iPad or iPhone for the holidays? You can also play this tournament with the new WGT Golf Mobile app on your iPad (2 or later) or iPhone (4 or later). WGT NATION is a free program for top WGT players. Learn more and see if you're eligible here. *Special tournament runs now thru 1/15/14. If you're using the Google Chrome browser with PepperFlash, you may have problems entering spaces in the Course Notebooks. You can either choose to use periods or commas instead of spaces, or turn off PepperFlash as follows: Visit chrome://plugins/ in your Chrome browser, click the Details button in the top right corner to expand the list, find the Adobe Flash Player and verify you have at least 2 Flash players installed, click the Disable link directly below the entry with the Location that references PepperFlash, close and re-launch Chrome browser. When you re-launch WGT, your spaces should work. 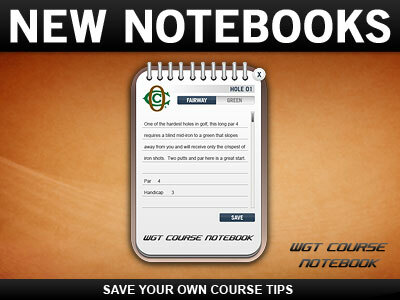 Please see the FAQ or Contact WGT with any other questions about Course Notebooks. Enjoy! It's not too late to send your WGT friends a great virtual gift for the holidays. 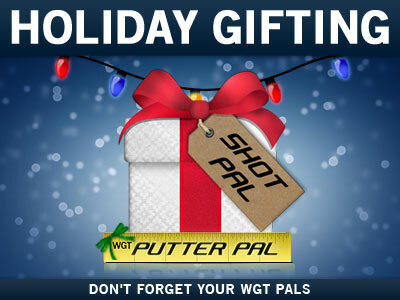 WGT "Pals" make great gifts for your WGT friends, by helping improve their virtual golf game with better putting and more accurate approach shots. Gifting on WGT is easy: just go to the Pro Shop, choose an item, click the GIVE AS GIFT button and enter a WGT username. Putter Pal for friends who need help putting, it's a WGT player-favorite! Note, you can only gift items to players if the item is unlocked based on their level or tier in the game. For more holiday gift ideas, click here. 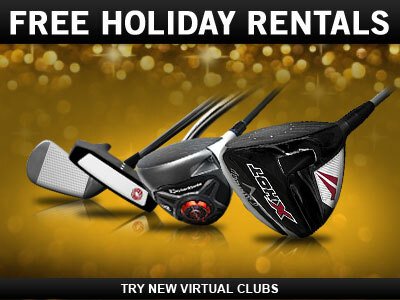 To celebrate the holidays, get free virtual club rentals on WGT today 12/24 thru 12/26. This is your chance to try out all the latest virtual golf equipment, like the MAX clubs, Nike irons, Odyssey putters and TaylorMade clubs, each providing improved distance, more control or a slower WGT swing meter to improve your game. Offer available to WGT players renting virtual clubs 12/24-12/26, free 24-hour rental period, and clubs can be re-rented during that time. Tell us what your favorites were this year. 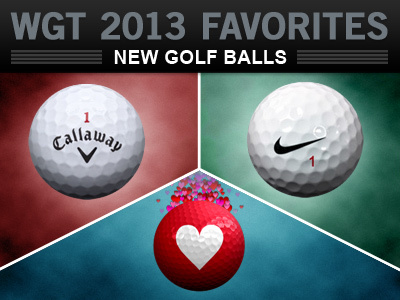 Vote on your favorite WGT golf courses, virtual golf clubs, virtual golf balls, online tournaments and game features from 2013. Every week we'll launch a new category and collect your votes. Then we'll announce the winners and do more of what you liked best in 2014. WGT Nation members, play this special tournament over the holidays for extra WGT Credits. Compete against Nation members in your same WGT tier in this free, unlimited closest-to-the-hole tournament on Wolf Creek. As a special bonus for Nation members, get a free Snow Ball virtual golf ball when you enter, with extra distance and a snowy vapor trail for the holidays. You can also play this tournament on your iPad (2 or later) or iPhone (4 or later) with the new WGT Golf Mobile app. *Special tournament open to WGT Nation members only, now thru 1/15/14. Don't forget your WGT friends this holiday season, with great gifts you can send to everyone on your list. 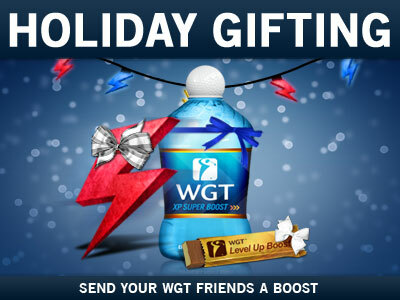 WGT Boosts make great gifts for your WGT friends, especially during this busy holiday season. Have a friend who is new to the game, or one that just needs that last push to unlock some great new virtual equipment? Boost them! Play special high-stakes Ready-Go tournaments to earn even more WGT Credits over the holidays. 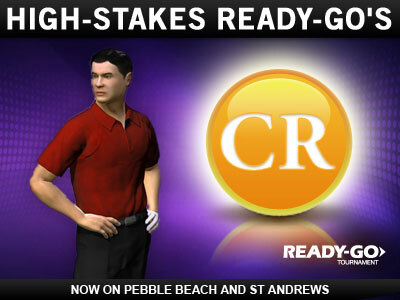 Enter 1,000 and 2,000 WGT Credit tournaments on Pebble Beach and St Andrews for more competition, more fun and more Credits to win. Ready-Go tournaments are quick, paid tournaments on WGT that are limited to the first 50 players to enter, with the top 30 of 50 scores earning WGT Credits.